This fun self-serve yogurt shop is the perfect place to cool off and take a break. 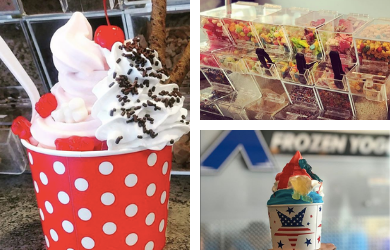 Xtreme Frozen Yogurt offers exceptional flavors and plenty of toppings to satisfy all your cravings! Every time you buy a cup of frozen yogurt, you know you are getting the BEST while supporting your community to the fullest. Xtreme Frozen Yogurt offers only the highest quality, best tasting, full cultured yogurt on the market today. 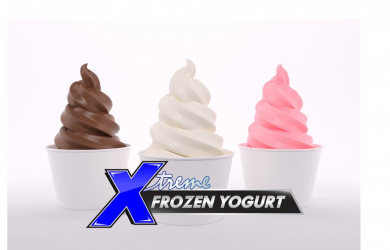 Setting the standard for the cleanest self-serve store possible, today's deal is bringing you Xtreme Frozen Yogurt along with "Extreme Savings"! Not to be Combined with any other Offer.No Cash Value.Limit 1 Per Member/Per Visit. Refunds are available on all unused vouchers within 14 days of purchase date. No refunds or credits are available after 14 days. If for some unforeseen reason a business closes before your voucher expires a credit for your purchase price will be issued into your account to use on future deals. Expired vouchers are not available for credits or refunds under any circumstance. After expiration date voucher can be redeemed for the purchase price only. No refunds, exchanges or credits on special events.